Artists Ygor Marotta and Ceci Soloaga of VJ Suave (previously) were recently invited to participate in the Walk&Talk art residency on São Miguel Island, Azores, Portugal. 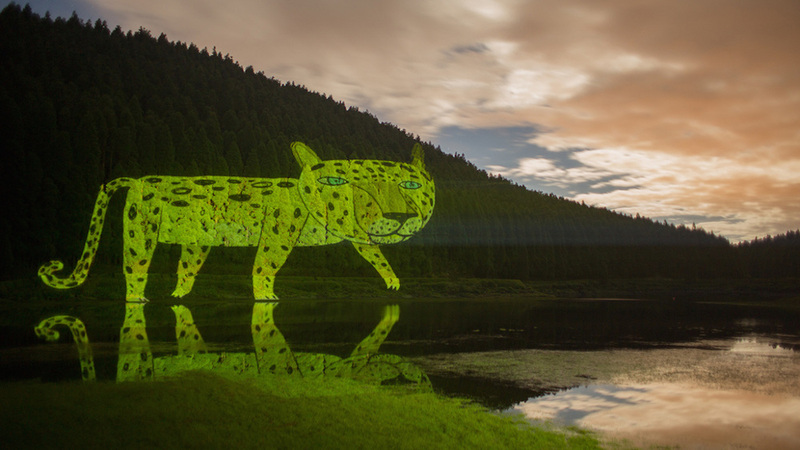 The duo transformed their projected street art animations to happily dance across the trees, cliffs, and shores of the the island including the Lagoa das Empadadas, Porto da Ribeirinha, Cachoeira do Cabrito and Lagoa das Sete Cidades. Using long exposure, VJ Suave captured their interventions with nature, creating the videos and GIFs seen here.